In an article published in the journal Third World Quarterly in October 2016, Turkey and Iran were characterized as “not quite friends, but less than enemies.” Now Turkey has a NATO ally that falls almost within the same category. A 36-page report published last month by the prestigious American institution, the Council on Foreign Relations (CFR), was titled “Neither friend nor foe,” with reference to Turkish-US relations. The report specifically mentions that the CFR “takes no positions on policy issues and has no affiliation with the US government,” but the impacts of its reports are widely acknowledged in Washington’s decision-making circles. The report was drafted by Steven Cook, a Senior Fellow for Middle East and Africa Studies. The advisory board of the report includes prominent academics, diplomats and journalists, such as Eric Edelman, the former US ambassador to Ankara; Henri Barkey, an Izmir-born ex-officio member of the CFR; Soner Cagaptay of the Washington Institute for Near East Policy; Marc Grossman, another former US ambassador to Ankara; and the Brookings Institution’s Omer Taspinar. The views contained in the report have already been elaborated in various articles, including those written by members of the report’s advisory committee, but various aspects of Turkey-US relations have rarely been discussed so thoroughly. So this may become the beginning of a new era in Turkey-US relations. CFR President Richard Haass argues in the foreword of the report that: “The time has come for the US to rethink its approach toward Turkey. What we are witnessing is the gradual but steady demise of a relationship; Turkey may be an ally in the formal sense, but it is no partner. Nor is it much of a democracy.” It is not a secret that “the US and Turkey do not share interests or values and that their ties are marked by ambivalence and mistrust.” What is new is the plain and unequivocal style used in this report to voice it. The latest report by CFR assesses several incidents that placed the two NATO allies in opposition during the seven decades since Turkey was admitted to NATO. Such an approach is, of course, hurtful for non-Americans because it implies that resenting the hegemony of a foreign power is wrong. It also snubs the right of Middle Eastern countries to oppose the US predominance in their region. The report concludes by listing the following four recommendations: First, recognize that the US and Turkey have gone from ambivalent allies to antagonists. Washington needs to adjust its expectations, ask for less, and develop other options. Second, the US has to develop alternatives to Incirlik Air Base. It believes that, in light of Turkish President Recep Tayyip Erdogan’s domestic political needs, the use of the base to advance US interests is no longer assured. “US security interests should not be made vulnerable to the changing interests of Turkish politicians,” the report states. Third, Turkey’s demands that the US end its military ties with the People’s Protection Units (YPG) should be rejected. The YPG has been “an effective force fighting (Daesh) and stabilizing northeastern Syria.” The report says that the US turning its back on the YPG would give Washington a reputation as an unreliable ally. This is probably the most sensitive point, since Turkey believes that, if a Kurdish entity is established in the northeast of Syria, this will pose a serious threat to its security. Ankara regards the YPG as the Syrian version of the Kurdistan Workers’ Party (PKK) that it has been fighting for more than three decades. 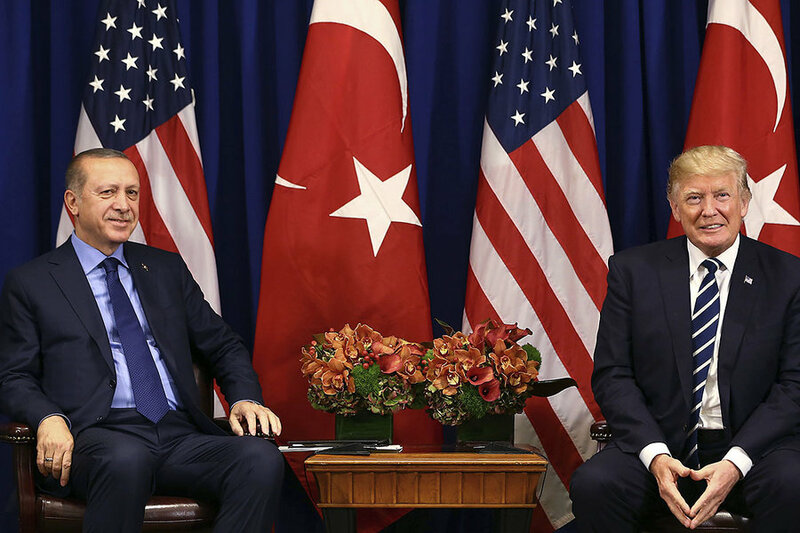 Turkish-American relations will not be reshaped overnight because of this report, but it gives a strong message about what the influential circles close to the decision-makers in the US think. The suggestion that the report makes that US decision-makers should admit Turkey’s attitude as a fact and adjust US policy accordingly is also valid for Turkey. The Turkish decision-makers will be adopting the most realistic approach if they admit the US attitude on many subjects — and especially on the Kurdish issue — as a fact and adjust their policy accordingly.